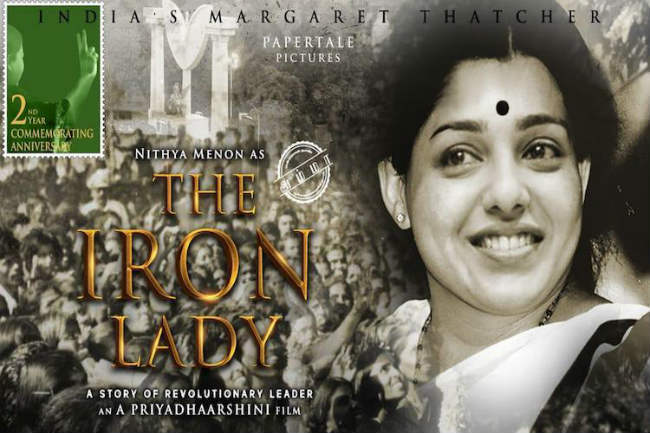 'The Iron Lady', is a biopic of late J Jayalalithaa. The first look poster of this film is out. Nithya Menen will essay the role of the former late TN CM. Nithya's look in the poster has a bang on resemblance with J Jayalalithaa. Priyadharshini will be directing this film. The poster was released on the second death anniversary of Jayalalithaa. This movie will be made in Tamil, Telugu, Kannada and Hindi. The shooting will commence from February 2019.